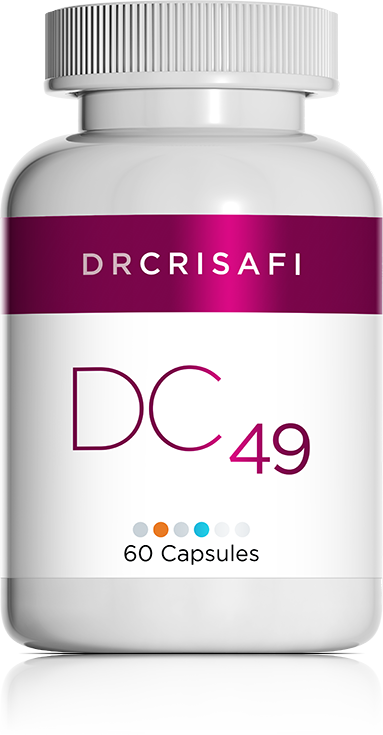 DC 49 is a formula made from amino acids, plants and dietary elements, which is aimed at improving metabolism and adaptation to stress. Tyrosine is an amino acid that plays several roles in the body. Its primary role is in the synthesis of various hormones, including stress and thyroid hormones. Its secondary role is in the production of melanin, which gives the skin pigmentation. Several studies have shown that tyrosine supplements improve the body's reactions during and following stress. Some studies also suggest that tyrosine helps prevents some types of depression, particularly those that are stress-related. Ashwagandha and coleus have been added to the formula in order to boost the tryrosine's effectiveness. Ashwagandha is used in traditional Indian medicine as a tonic to rejuvenate the body and help reduce fatigue. Although it is also called "Indian ginseng," Ashwagandha actually helps relax the nerves. Studies carried out in the 1950s also suggest that this plant also helps improve memory. In Ayurvedic medicine, coleus is used to regulate thyroid activity and optimize thyroid hormone activity. Magnesium, zinc and selenium all have nutritional benefits for the thyroid and stress glands. Finally, iodine is a key dietary element for thyroid function. To reduce mental fatigue due to stress. To support the body during periods of stress. Not recommended if you have hyperthyroidism. Not recommended if you are taking thyroid medication, unless advised to do so by a health professional. Do not take DC 49 if you have skin cancer. DC 49 may be used in conjunction with DC 41, DC 46, DC 52 and DC 22.